592a Washington Street is where our corporate offices and restoration studio have been since 1983. 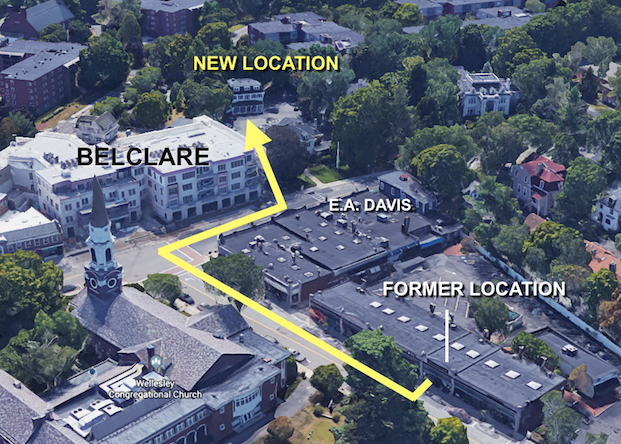 We have moved 592 feet from our former location on Church Street around the corner and “back home” to 592a Washington Street, where our corporate offices and restoration studio have been located since 1983. “This has a nice ring to it for a few reasons. 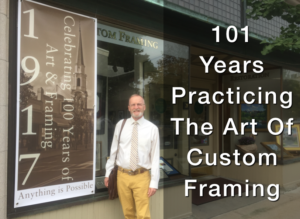 The business was founded in 1917 and so as we begin our second 100 years of business, our move “home” is perfect for our plans to further enhance and upgrade our personalized services, host more events and provide free parking on site,” said Sturdy Waterman, owner. 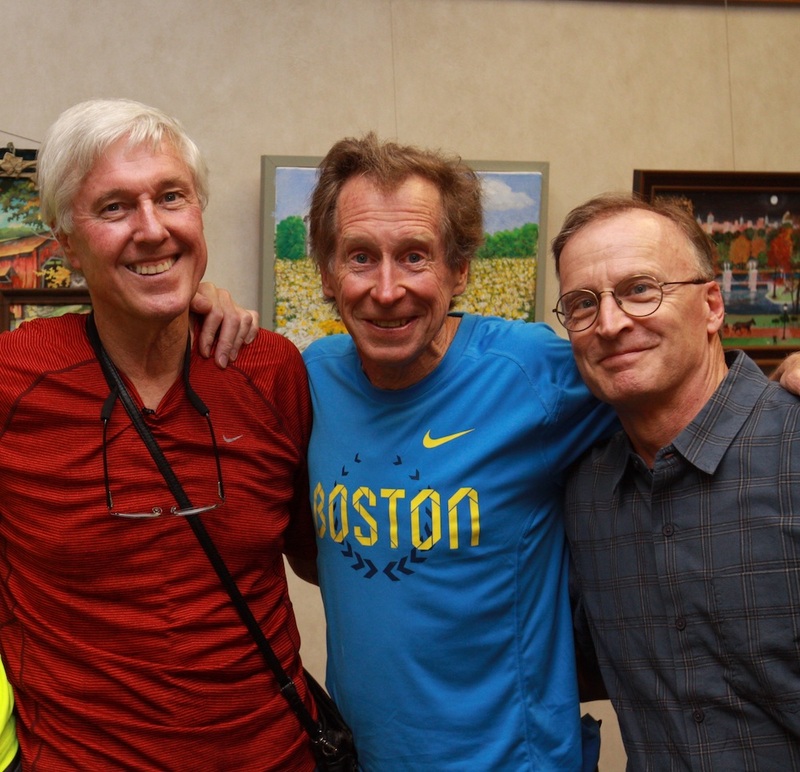 (l to r) Jeff Johnson, Nike’s first full-time wage earner; Bill Rodgers, local running legend and four-time winner of the Boston Marathon; Sturdy Waterman, owner of Page Waterman. 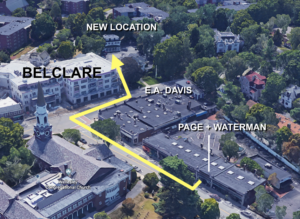 The new home for our framing specialists and Fine Art Gallery at 592a Washington Street is set back slightly from the road behind the Berkshire Hathaway real estate offices, directly across the street from the recently opened Smith & Wollensky Steakhouse (formerly Blue Ginger). 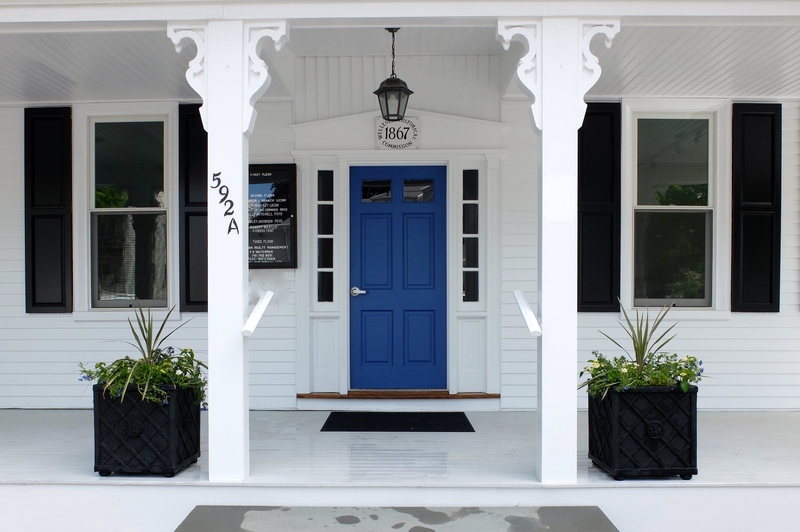 592a Was built in 1867 initially as a private home and later became a residence hall called Maple Lodge for Dana Hall School. While preparing it for our move a student’s journal was discovered under floor boards. Sturdy’s father, Frank, leased the building in 1966 to Jeff Johnson, Nike’s first full-time wage earner and the author of the brand name which is now the world’s largest supplier of athletic shoes and apparel. Jeff Johnson revisited the site along with local running legend Bill Rodgers as part of the Nike Heritage Tour in 2016, showing current Nike employees important landmarks in Nike’s history.